The normal requirements of dog ownership need to be adhered to while staying/visiting the park. We do have sheep grazing at the park so your dog 'must' be vaccinated against sheep measles and, as per normal practice, kept under control at all times with all 'doggie do's' disposed of in one of our many bins. Our site is secure as in it is fully fenced and our gates are locked at night and ,since providing a relaxed environment is our mission, we generally leave it to you to choose a site to set up under any of our beautiful large plane or oak trees and just enjoy the peace and quiet the park setting enjoys while still being only five minutes from a supermarket, local butcher, a brand new cinema complex with restaurant and cafe, a number of boutique shops or a Post Office. Plus ...you get to wake up to a beautiful dawn chorus which seems to be a favourite with our overnight guests. Our gates open at around 7am each morning and close around 6pm but if you arrive/leave earlier please use your NZMH code to enter/exit the park yourself. Payment can be made through this Bookit site or on site via our Iron Maiden located in the Kiosk...a small oval building with a red roof located at the end of the Grandstand. Look for the WINGS signage on the door. 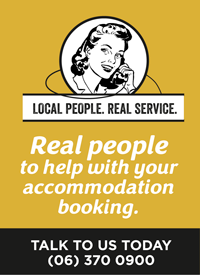 We provide water, toilets and great hot showers and a new laundry service. We've just installed a brand new coin operated washer and drier. Charges are $4 per wash and $4 per 40 minute dry - bring your own laundry powder and, if you don't have change, pop into our office right across the centre oval and we'll help you out. The local dump station is due to be re-located on site but in the interim this service is only 500m away for your convenience. During the winter we have been keeping our Motor Homers on a hard surface, best for you and us, but with spring arriving we are looking to move everyone back out under the trees where there's plenty of room to relax. We look forward to seeing you on site - with so many large local events coming up we remain the largest single area for Motor Home accomodation in the area.